I get lots of suggestions for stories, and I really appreciate them. But some of them are too good to be true. An example of this was a story of a giant human skeleton -- maybe 40 feet tall -- that was discovered by a Russian archaeological team. The story had photos and links accompanying it and looked promising. But when the links were researched they went in a circle. Each link used the other link as the source. Finally the elements of the photos turned up and we recognized a good Photoshop job had fooled everyone. I had this same experience this week when I was sent an article where a Russian (again) scientist, Pjotr Garjajev, had managed to intercept communication from a DNA molecule in the form of ultraviolet photons -- light! What's more, he claimed to have captured this communication from one organism (a frog embryo) with a laser beam and then transmitted it to another organisms DNA (a salamander embryo), causing the latter embryo to develop into a frog! Dr. Garjajev claims that this communication is not something that happens only inside the individual cells or between one cell and another. He claims organisms use this "light" to "talk" to other organisms and suggested that this could explain telepathy and ESP. It was like human beings already had their own wireless internet based on our DNA. Wow! I tried to find a scientific journal that had this experiment. All I could find were blogs and other websites that carried the same story, word for word, without any references. That is until I stumbled on the work of Fritz-Albert Popp [right]. Then everything I had just read seemed very plausible. Fritz-Albert Popp thought he had discovered a cure for cancer. I'm not convinced that he didn't. It was 1970, and Popp, a theoretical biophysicist at the University of Marburg in Germany, had been teaching radiology -- the interaction of electromagnetic (EM) radiation on biological systems. Popp was too early to worry about things like cellphones and microwave towers which are now commonly linked with cancers and leukemia. His world was much smaller. He'd been examining two almost identical molecules: benzo[a]pyrene, a polycyclic hydrocarbon known to be one of the most lethal carcinogens to humans, and its twin (save for a tiny alteration in its molecular makeup), benzo[e]pyrene. He had illuminated both molecules with ultraviolet (UV) light in an attempt to find exactly what made these two almost identical molecules so different. Popp chose to work specifically with UV light because of the experiments of a Russian biologist named Alexander Gurwitsch who, while working with onions in 1923, discovered that roots could stimulate a neighboring plant's roots if the two adjacent plants were in quartz glass pots but not if they were in silicon glass pots. The only difference being that the silicon filtered UV wavelengths of light while the quartz did not. Gurwitsch theorized that onion roots could communicate with each other by ultraviolet light. [Above] All vibrations of energy are part of the electro-magnetic spectrum. These include electrical energy, heat, sound, light, radio waves and radioactive waves. 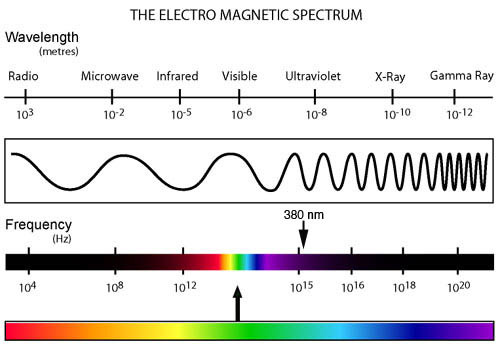 UV light is merely a small portion of the spectrum of EM energy with a very short wavelength. What Popp discovered was that benzo[a]pyrene (the cancer producing molecule) absorbed the UV light, then re-emitted it at a completely different frequency -- it was a light "scrambler". The benzo[e]pyrene (harmless to humans), allowed the UV light to pass through it unaltered. There was another odd property of these compounds: each of the carcinogens reacted only to light at a specific frequency -- 380 nm (nanometres) in the ultra-violet range. Popp kept wondering why a cancer-causing substance would be a light scrambler. He began reading the scientific literature specifically about human biological reactions, and came across information about a phenomenon called 'photorepair'. It is well known from biological laboratory experiments that if you blast a cell with UV light so that 99 per cent of the cell, including its DNA, is destroyed, you can almost entirely repair the damage in a single day just by illuminating the cell with the same wavelength at a much weaker intensity. To this day, scientists don't understand this phenomenon, called photorepair, but no one has disputed it. 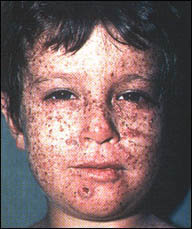 Popp also knew that patients with xeroderma pigmentosum [right] eventually die of skin cancer because their photorepair system can't repair solar damage. He was also struck by the fact that photorepair works most efficiently at 380 nm -- the same frequency that the cancer-causing compounds react to and scramble. This was where Popp made his logical leap. If the carcinogens only react to this frequency, it must somehow be linked to photorepair. If so, this would mean that there must be some kind of light in the body responsible for photorepair. A compound must cause cancer because it permanently blocks this light and scrambles it, so photorepair can't work anymore. It seemed logical, but was it true? Popp was freaked out by this. He wrote about it in a paper and a prestigious medical journal agreed to publish it. Not long after that, Popp was approached by a student named Bernhard Ruth, who asked Popp to supervise his work for his doctoral dissertation. Popp told Ruth he was prepared to do so if the student could show that light was emanating from the human body. Within two years, Ruth had constructed a machine resembling a big X-ray detector which used a photomultiplier to count light, photon by photon. Even today, it is still one of the best pieces of equipment in the field. The machine had to be highly sensitive because it had to measure what Popp assumed would be extremely weak emissions. In an old documentary film taken in the laboratory at the International Institute of Biophysics, Dr. Popp opens a chamber about the size of a bread box. He places a fresh cutting from a plant and a wooden match in a plastic container inside the dark chamber and closed the light proof door. Immediately he switches on the photomultiplyer and the image shows up on a computer screen. 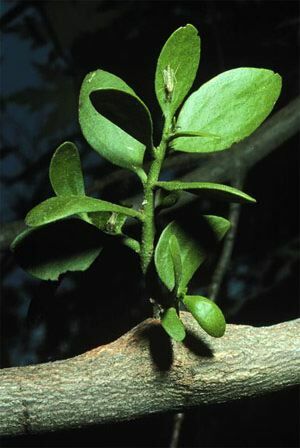 The match stick is black while the green, glowing silhouette of the leaves is clearly visible. Dr. Popp exclaims, "We now know, today, that man is essentially a being of light." In 1976, they were ready for their first test with cucumber seedlings. The photomultiplier showed that photons, or light waves, of a surprisingly high intensity were being emitted from the seedlings. In case the light had to do with an effect of photosynthesis, they decided that their next test -- with potatoes -- would be to grow the seedling plants in the dark. This time, when the seedlings were placed in the photomultiplier, they registered an even higher intensity of light. What's more, the photons in the living systems they'd examined were more coherent than anything they'd ever seen. This energy is the driving force for all the molecules in our body. Before any chemical reaction can occur, at least one electron must be activated by a photon with a certain wavelength and enough energy. The biochemist and Nobel Prize winner Lehninger mentions in his textbook that some reactions in the living cell happen quite a lot faster than what corresponds to 37C temperature. The explanation seems to be that the body purposely directs chemical reactions by means of electromagnetic vibrations (biophotons). Photons switch on the body's processes like an orchestra conductor bringing each individual instrument into the collective sound. At different frequencies, they perform different functions. Popp found that molecules in the cells responded to certain frequencies, and that a range of vibrations from the photons caused a variety of frequencies in other molecules of the body. This theory has been supported by Dr. Veljko Veljkovic who now heads the Center for Multidisciplinary Research and Engineering, Institute of Nuclear Sciences Vinca. She dared to ask the question that has forever puzzled cellular biologists: What is it that enabled the tens of thousands of different kinds of molecules in the organism to recognize their specific targets? Living processes depend on selective interactions between particular molecules, and that is true for basic metabolism to the subtlest nuances of emotion. It's like trying to find a friend in a very big very crowded ballroom in the dark. 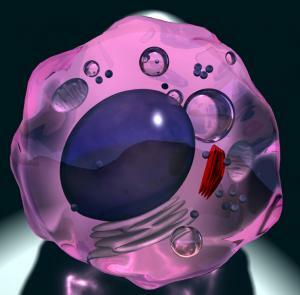 The conventional picture of a cell even now is that of a bag of molecules dissolved in water. And through bumping into one another by chance -- random collisions -- those molecules that have complementary shapes lock onto to each other so the appropriate biochemical reactions can take place. This 'lock and key' model has been refined to a more flexible (and realistic) 'induced fit' hypothesis that allows each molecule to change shape slightly to fit the other better after they get in touch, but the main idea remains the same. It is supposed to explain how enzymes can recognize their respective substrates, how antibodies in the immune system can grab onto specific foreign invaders and disarm them. By extension, that's how proteins can 'dock' with different partner proteins, or latch onto specific nucleic acids to control gene expression, or assemble into ribosomes for translating proteins, or other multi-molecular complexes that modify the genetic messages in various ways. But with thousands -- or even hundreds of thousands of reactions happening each second in just one cell this seems pushing the "mechanical" concept a bit too far. What has been proposed is that somehow each molecule sends out a unique electromagnetic field that can "sense" the field of the complimentary molecule. It's as if there is a "dance" in the cellular medium and the molecules move to the rythm. The music is supplied by the biophoton. "There are about 100,000 chemical reactions happening in every cell each second. The chemical reaction can only happen if the molecule which is reacting is excited by a photon... Once the photon has excited a reaction it returns to the field and is available for more reactions... We are swimming in an ocean of light." These 'biophoton emission', as Popp called them, provided an ideal communication system for the transfer of information to many cells across the organism. But the single most important question remained: where was the light coming from? These and other studies proved to Popp that one of the most essential sources of light and biophoton emissions was DNA. DNA was like the master tuning fork of the body. It would strike a particular frequency and certain molecules would follow. It was also possible, he realised, that he had stumbled upon the missing link in current DNA theory that could account for perhaps the greatest miracle of all in human biology -- how a single cell can turn into a fully formed human being. 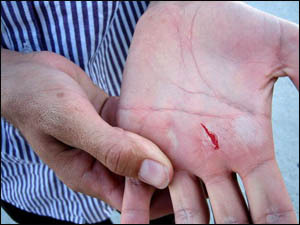 When you get a cut or scratch on your skin, the cells that are injured somehow signal the surrounding healthy cells to begin reproducing copies of themselves to fill in and mend the opening. When the skin is back to normal, a signal is sent to the cells to tell them to stop reproducing. Scientists have wondered exactly how this works. With biophoton emissions, Popp believed he had an answer to this question. 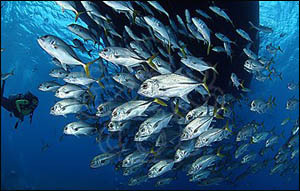 This phenomenon of coordination and communication could only occur in a holistic system with one central orchestrator. Popp showed in his experiments that these weak light emissions were sufficient to orchestrate the body's repairs. The emissions had to be low intensity because these communications took place on a very small, intracellular, quantum level. Higher intensities would have an effect only in the world of the large and would create too much "noise" to be effective. The number of photons emitted seemed to be linked to the organism's position on the evolutionary scale -- the more complex the organism, the fewer photons were emitted. Rudimentary animals and plants tended to emit 100 photons/cm2/sec at a wavelength of 200-800 nm, corresponding to a very-high-frequency EM wave well within the visible range, whereas humans emit only 10 photons/cm2/sec at the same frequency. In one series of studies, Popp had one of his assistants -- a 27-year-old healthy young woman -- sit in the room every day for nine months while he took photon readings of a small area of her hand and forehead. Popp then analysed the data and discovered, to his surprise, that the light emissions followed certain set patterns -- biological rhythms at 7, 14, 32, 80 and 270 days -- and similarities were also noted by day or night, by week and by month, as though the body were following the world's biorhythms as well as its own. So far, Popp had studied only healthy individuals and found an exquisite coherence at the quantum level. But what kind of light is present in those who are ill? Just the opposite is seen with multiple sclerosis: MS is a state of too much order. Patients with this disease are taking in too much light, thereby inhibiting their cells' ability to do their job. Too much cooperative harmony prevented flexibility and individuality -- like too many soldiers marching in step as they cross a bridge, causing it to collapse. Perfect coherence is an optimal state between chaos and order. With too much cooperation, it is as though individual members of the orchestra are no longer able to improvise. In effect, MS patients are drowning in light. Popp also examined the effects of stress. In a stressed state, the rate of biophoton emissions goes up -- a defence mechanism designed to restore the patient's equilibrium. Popp now recognized that what he'd been experimenting with was even more than a cure for cancer or Gestaltbildung. Here was a model which provided a better explanation than the current neo-Darwinist theory for how all living things evolve on the planet. Rather than a system of fortunate but ultimately random error, if DNA uses frequencies of every variety as an information tool, this suggests instead a feedback system of perfect communication through waves that encode and transfer information. Popp came to realize that light in the body might even hold the key to health and illness. In one experiment, he compared the light from free-range hens' eggs with that from penned-in, caged hens. The photons in the former were far more coherent than those in the latter. 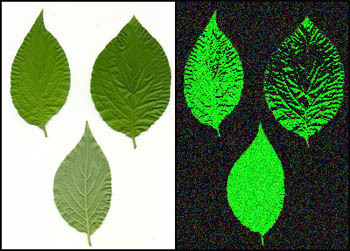 Bio Photon emission detection is currently used commercially in the food industry. Agricultural science is looking at Bio-photon emissions to determine plant health for the purposes of food quality control. Biophotonen is a company working for development and practical applications of biophotonics. The work is based on a variety of patents. "Biophotonen" solves practical problems of food industry, environmental industry, cosmetics, etc. 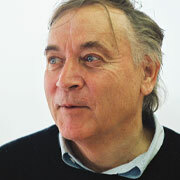 In the 1970s Dr. Veljko Veljkovic, who now heads the Center for Multidisciplinary Research and Engineering, Institute of Nuclear Sciences Vinca, also discovered a method for predicting which of the hundreds of new chemicals made by the rapidly expanding chemical industry were carcinogenic, by calculating certain electronic, biophotonic properties of the molecules. This method was soon found equally applicable to predicting organic chemicals that were mutagenic, or toxic, and even those that were antibiotic, or cytostatic (anticancer). Veljkovic's institute in Belgrade has since teamed up with other European laboratories to apply the same method to drug discovery, especially against AIDS disease. 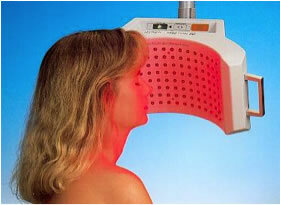 Biophoton therapy is the application of light to particular areas of the skin for healing purposes. The light, or photons, that are emitted by these units are absorbed by the skin's photoreceptors and then travel through the body's nervous system to the brain, where they help regulate what is referred to as our human bio-energy. By stimulating certain areas of the body with specific quantities of light, biophoton therapy can help reduce pain as well as aid in various healing processes throughout the body. Some extremely interesting experiments were performed by V.P. Kaznacheyev et al regarding the paranormal transmission of death by light inter-organism communication. Briefly, two groups of cells were selected from the same cell culture and one sample placed on each side of a window joining two environmentally shielded rooms. The cell cultures were in quartz containers. One cell culture was used as the initiation sample and was subjected to a deadly mechanism - virus, germ, chemical poison, irradiation, ultraviolet rays, etc. The second cell culture was observed, to ascertain any transmitted effects from the culture sample being killed. When the window was made of ordinary glass, the second sample remained alive and healthy. When the window was made of quartz, the second sample sickened and died with the same symptoms as the primary sample. The experiments were done in darkness, and over 5,000 were reported by Kaznacheyev and his colleagues. The onset of induced complementary sickness and death in the second culture followed a reasonable time -- say two to four hours -- behind sickness and death in the primary culture. The major transmission difference between window glass and quartz is that quartz transmits both ultraviolet and infrared well, while glass is relatively opaque to ultraviolet and infrared. Both quartz and glass transmit visible light. Thus glass is a suppressor of the paranormal channel, while quartz is not. In 1950, Western researchers found that cells could be killed in darkness with ultraviolet radiation, kept shielded from visible light for twenty-four hours or longer, and then if radiated with visible light the cells would start reviving by hundreds of thousands even though they had been clinically dead. Specifically, every cell emits mitogenetic radiation in the ultraviolet range twice: when it is born and when it dies. The UV photon emitted at death contains the exact virtual state pattern of the condition of the cell at death. The healthy cells are bombarded with death messages from those that are dying, and this diffuses the death pattern throughout the healthy culture, eventually kindling into the same death pattern there. Popp thought that electro-magnetic molecular signalling might even explain acupuncture. According to Traditional Chinese Medicine, the human body has a system of meridians, running deep in the tissues, through which flows an invisible energy the Chinese call ch'i, or the life force. 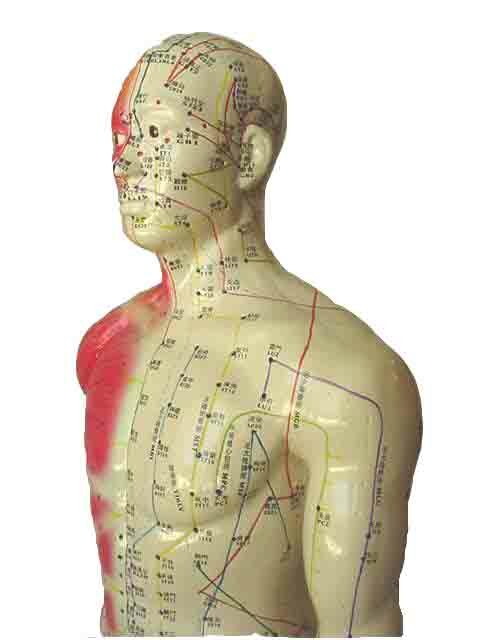 The ch'i supposedly enters the body through these acupuncture points and flows to deeper organ structures (which do not correspond to those in Western biology), providing energy (or the life force). Illness occurs when this energy is blocked at any point along the pathways. According to Popp, the meridian system transmits specific energy waves to specific zones of the body. I mention this latest work for those who may wish to explore the boundaries of photon research and theory. In a ground-breaking paper with the lengthy title of "Orchestrated Objective Reduction of Quantum Coherence in Brain Microtubules: The 'Orch OR' Model for Consciousness" by Stuart Hameroff and Roger Penrose, the brain is described as a quantum computer whose main architecture are the cytoskeletal microtubules and other structures within each of the brain's neurons. [Above:] Schematic of central region of neuron (distal axon and dendrites not shown), showing parallel arrayed microtubules interconnected by MAPs. Microtubules in axons are lengthy and continuous, whereas in dendrites they are interrupted and of mixed polarity. Linking proteins connect microtubules to membrane proteins including receptors on dendritic spines. In their paper, Hameroff and Penrose present a model linking microtubules to consciousness using quantum theory. In their model, quantum coherence emerges, and is isolated in brain microtubules until a threshold related to quantum gravity is reached. The resultant self-collapse creates an instantaneous "now" event. Sequences of such events create a flow of time, and consciousness. Don't worry if you can't understand this. It's heavy reading but it does show that the existence of internal photons -- inner light -- is very real and is the basis of virtually all human cellular and systemic function. Could the Russian scientists really have changed a salamander embryo into a frog with lasers? I prefer to wait until the actual details of the experiment are published and reviewed -- but I am much less apt to dismiss this as fiction now that I know about our inner lights. "The Rainbow and the Worm" by Mae-Wan Ho. There are a number of reviews at Amazon.com. It elaborates on some of the same ideas covered in this article at a fundamental level. This really bridges the gap between "hard science" i.e. contemporary physics and what many professional scientists would consider "new age psycho-babble". At the same time the quantitative truths of the current scientific world view, which due to their often brittle and rigidly specified nature, have previously defied attempts to reconcile "known facts" about "animate" matter with "known facts" about "inanimate" matter are now getting the infusion of new concepts they need to really deal with the unity of seemingly differing aspects of reality. According to the article the food radiation should make it unhealthy. FDA made it mandatory now. I have found this field very interesting as it might explain the ancient Chinese medical practice in acupunture and chigong (chi gung) healing. It might explain telepathy, ghost and spirit, as they seem to related to "energy" or "bioelectromagetism". Maybe bioelectromagetism can provide or transfer instructions to the DNA (like programming to a computer). This might explain the sudden appearance of species associated with periodical change in cosmic electromagnetism (there was another article about this). It might even explain some of the prodigies who seem to inherit their talent from previous life. Just a wild thought.